Look look look look look! Argh these prints are gorgeous and I want them all. 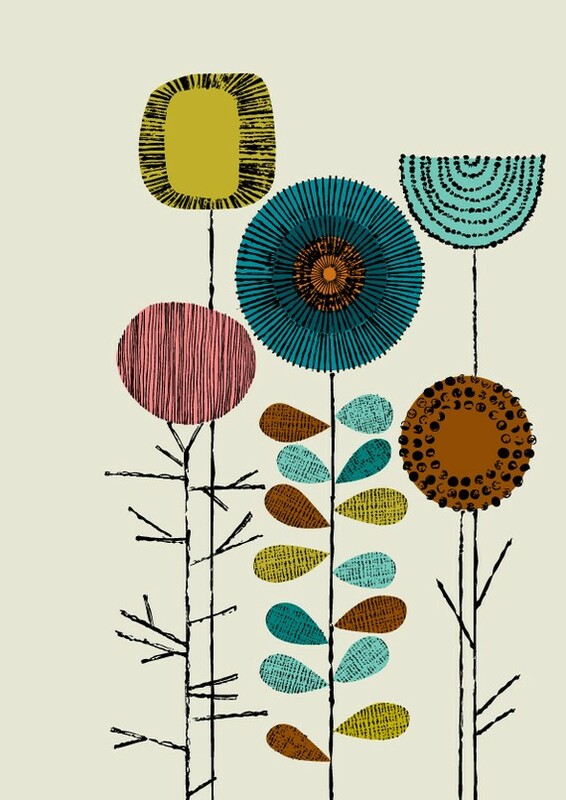 Designed by the annoyingly talented Eloise Renouf, who designs out of her Nottingham studio while juggling her kiddywinkies and eating crisps, her mid century inspired masterpieces have featured on her own wondrous collections of stationary and cards. Brilliantly, these prints are now all available to buy from her Etsy shop as limited editions. and i can see that the crisp eating has certainly inspired her…..is that a McCoys crinkle cut salt & vinegar potato snack nestling amongst those beautiful flowers?? 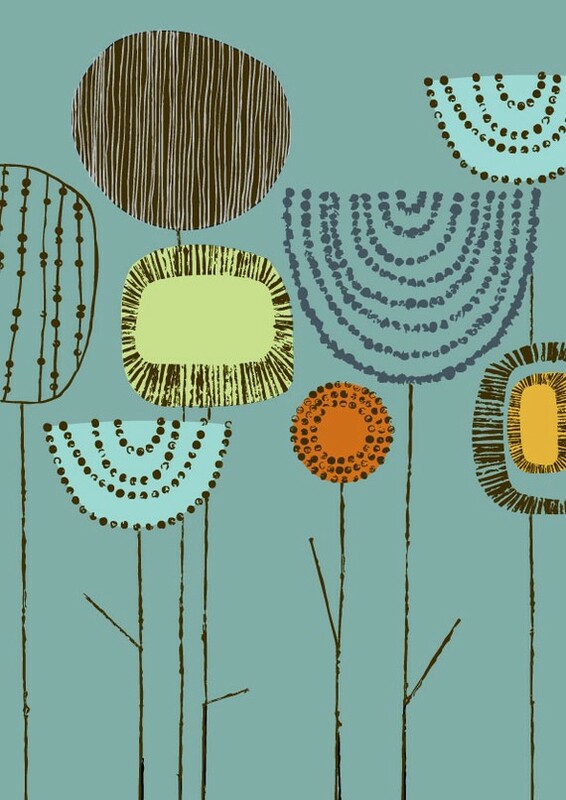 Love the simplicity of them and bright colors….lovely! These are beautiful.. understated and elegant. I love the ‘stick’ stalks. these are gorgeous! i love the colors! So cute! Yet another artist that makes me wish I was loaded and could buy lots of pretty things! Those are lovely – can see why you want them so much :D. Thanks for posting – have to peek @ the shop.